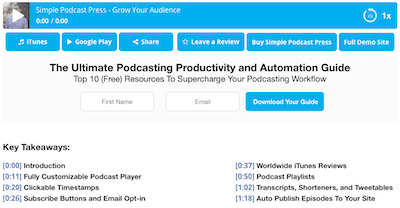 Many podcast hosts provide an embeddable podcast player than you can use on your website. These act similar to how you see people embed YouTube videos. You probably wouldn’t decide which podcast hosting company to use based solely on their embed player, but I thought it would interesting to compare them. There are also stand-alone podcast web players you can use no matter which host you use. Learn how to start a WordPress blog so you can embed these players! We’ll take a look at what features are included, what is customizable (if possible), and how they look. The main purpose of a podcast host is to have a place to upload and store your podcast episodes. They also provide an RSS feed that you’ll submit to Apple Podcasts and other podcast directories so people can listen and subscribe. We’re going to compare a few of the more well-known companies (and if you’re considering SoundCloud, just stop now, it’s not good for podcasting) in the space today among a variety of features: ease of use, price, stats, storage, and more. I’ve used all these services (and tested many more) and talked to people at each company. There are thousands of different WordPress themes and many different developers that make them, but there really are only a few good theme makers. 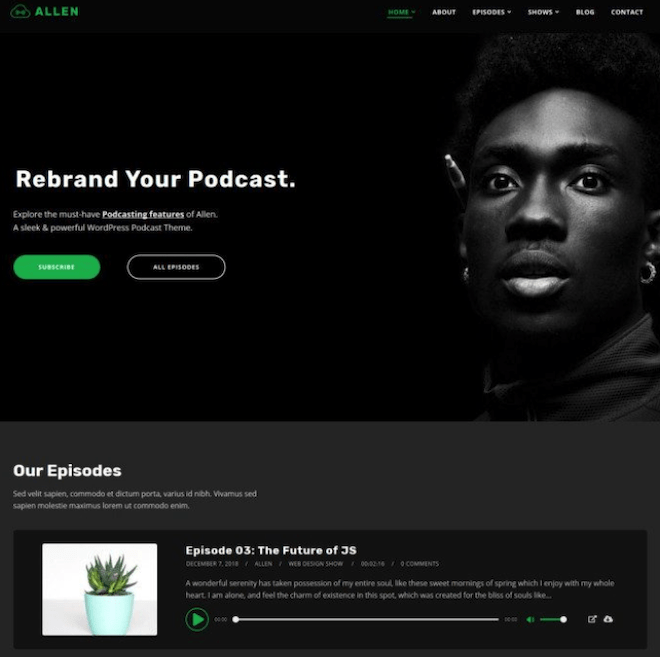 And in this post we’re going to focus on a subset of those and look at the best WordPress themes designed for podcasting. Keep in mind that any theme can be used for podcasting because all you need to do is embed a player, but the podcast-focused themes are designed around your needs and workflow. You’ll host your audio files separately with your podcast hosting provider and they will provide a way for you to embed your episodes on the proper page. 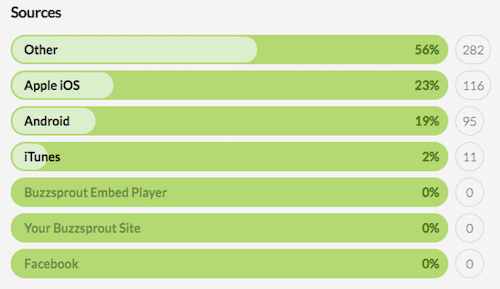 Note that some themes will integrate their own players for a more refined look. They provide fast, SEO-friendly, and secure hosting for your website with 24/7 support. Your website is the place where you will provide show notes, links, a place for people to join your email list, additional resources, bonuses, or anything else you want to provide your listeners. Are you planning to build an email list? You should be! Check out the best email marketing service for podcasters here.